Photo: Rocky landscape in front of a lake. From the air, Leakey thought the Koobi Fora area appeared to be sedimentary rock, which is slow to accumulate and often preserves fossils. A 1968 expedition showed Leakey was right; the rocks turned out to be fossil-rich sediments. 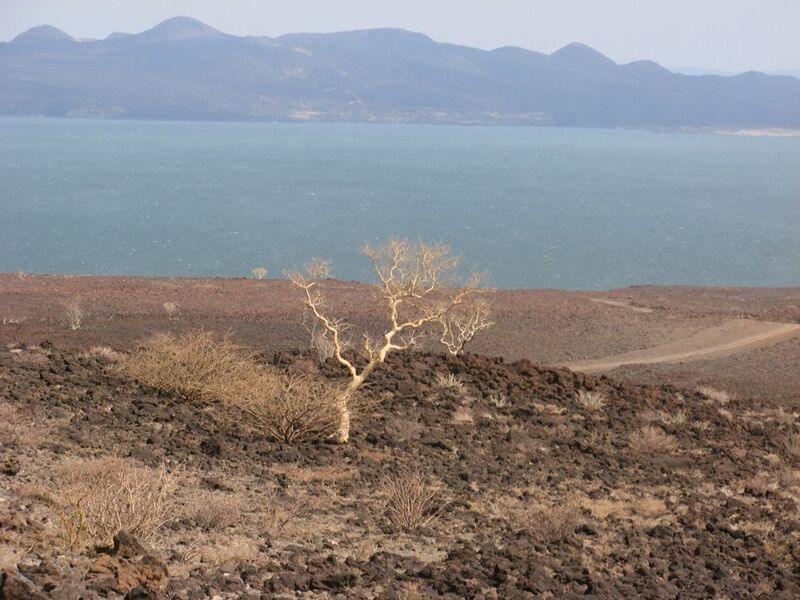 The harsh, desert-like Koobi Fora area contrasts with the rich "Jade Sea" of saline Lake Turkana to its west. A case study that illustrates the Koobi Fora Research Project’s amazing finds in the field of paleontology.